The Ketogenic Diet – Is it a fad? The Ketogenic Diet, or “Keto” for short, seems to be very popular right now. You probably see ads coming through your Facebook feed for ketogenic diet plans. You may also have a seemingly growing number of friends and contacts that are giving it a try. 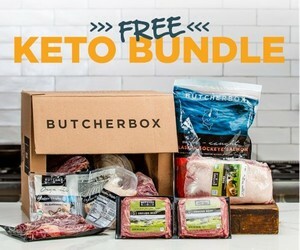 We have several 90/10 members that are giving keto a try and so I gave the diet a trial run myself to see what it’s all about. In this blog, I’d just like to run you through the basics of what the keto diet is and talk about my experience so you can be more informed. The great thing about 90/10 Nutrition is that you can stay within the guiding principles of our system while also doing something more restrictive or specific for your needs. So, we’ll also talk about how it fits in with 90/10 in this blog. The Ketogenic Diet, or “Keto” for short, is a high fat, moderate protein, low carbohydrate diet. You may also see it abbreviated as HFLC (High Fat Low Carb). The diet gets its name from a natural metabolic process called Ketosis. When the body doesn’t have enough glucose to use for energy (which it gets primarily from carbohydrates), it breaks down stored fats in a process called ketosis. Fatty acids known as ketones are created and released during this process and are used as energy instead of glucose. The goal of the keto diet is to force the body into ketosis by reducing carbohydrates to very low levels. It is important to note that the process of ketosis is natural. Ketosis happens every night when you sleep or when you don’t eat for long periods of time. The difference here is that you are not forcing ketosis by lack of calories but only by lack of carbohydrates. Keto was originally used to treat Diabetes before the use of insulin. It is also used to treat seizure patients. In more recent years, it has become more popular as a weight loss diet or even a long-term lifestyle. Many say that long-term ketosis is too hard on the liver. Others report that the increase in saturated fat intake raises LDL cholesterol. Others claim it hinders physical performance. However, clinical studies seem to support the Ketogenic diet. This study showed substantial weight loss, increased HDL (good), and decreased LDL during a 24 week study of obese patients. Although there isn’t any clinically supported evidence available to say that the ketogenic diet is “safe”, there also doesn’t seem to be any evidence to suggest that it is dangerous for the average person. Of course, before starting any diet or nutrition program, you should always consult your physician. Each person has unique physical reactions to different foods and diets. NOTE: It is important to understand that ketosis is different than ketoacidosis. The former is a natural state that happens as described above. The latter is a dangerous state that occurs when your body doesn’t produce enough insulin and the blood becomes too acidic due to an overload of ketones. It is very rare for ketoacidosis to occur from eating a keto diet alone. Ketoacidosis typically occurs in people who have Type 1 diabetes that don’t produce insulin properly in their body. ♦ Paleo does not require or promote specific macronutrient (carb/fat/protein) ratios while keto does. ♦ Keto does not restrict full fat dairy while Paleo usually does (except sometimes ghee and/or butter). ♦ Although Paleo restricts many of the main carbohydrate sources (grains and legumes) like Keto, it usually doesn’t restrict other natural carb sources such as pure maple syrup, coconut sugar, sweet potatoes, squash, and other starchy vegetables. These sources would often take you out of ketosis. ♦The Paleo diet focuses more on gut health and removing foods that are difficult to digest whereas the Keto diet focuses more on forcing your body to burn fat. Otherwise, the two diets are very similar. They both restrict grains and legumes completely, encourage healthy fat intake, encourage animal proteins, promote non-starchy vegetables, and restrict refined sugar. How Does Keto Fit With 90/10? At 90/10 Nutrition, we believe strongly that there is no specific “diet” that is best for everyone. However, we do believe that eating REAL food as close as possible to its natural state IS best for everyone. While the ketogenic diet focuses more on limiting a particular macronutrient intake (carbohydrate), we have found that most keto diet resources on the web also promote REAL food. This fits quite nicely with 90/10. So, for those wishing to see how they feel using keto principles along with 90/10, it’s quite easy to modify the tiers to do keto while also meeting the foundational principles of 90/10 Nutrition. We’ve actually created a guide to keto for our 90/10 members complete with modified green, yellow, and red tiers (see below for more information). In those special tiers, we moved carb sources that are completely off limits on keto to the red tier, moved some carb sources to the yellow tier (less starchy carbs that you can have sparingly), and allowed for more fatty animal proteins on the green tier. To be completely clear, these changes are only to adapt 90/10 to meet the guidelines of the keto diet for those wishing to experiment with it to see how their body reacts. These changes for this guide do not reflect a belief that items moved from our normal green tiers are no longer “healthy”. The most obvious and attractive reported benefit of the keto diet is weight loss. However, many have reported other benefits such as increased mental clarity, lower cholesterol, less acne, more energy, and controlled/normalized hunger. Of course, as we mentioned before, everyone is different. So, you many not experience all of these benefits. In order to maintain ketosis, the ketogenic diet restricts carbohydrate to low levels. Some keto diets recommend carb intake in terms of total grams. Others use a percentage of total intake. Typically, you will see either “less than 50g of carbs” or “less than 10% from carbs”. We recommend using a percentage system since total intake can vary greatly based on activity level and other factors. I personally followed a ketogenic diet for about 3 months at the beginning of this year (2017). I didn’t find the changes terribly difficult to follow. I thought I would really miss a lot of the carbs, but that wasn’t the case except for a few times here and there. Those that know me know that I love a good microbrew and specifically IPAs, so that was probably the hardest part of the experiment for me. As far as weight loss, I lost 12 lbs during the 3 months. That may not seem like much, but I was also doing a lot of heavy lifting workouts during the time and significantly increased in strength. So, as far as fat loss, it was probably much more than 12 lbs. Overall, I am not personally impressed by the amount of weight or fat loss but it certainly did work to some degree. Each person is different and I have seen significant weight loss for others on a keto diet. However, for me, it wasn’t anything more dramatic than what I am used to with normal 90/10 Nutrition. I did, however, have a significant experience with “mental clarity”. After the first week or so on keto, I noticed an increased drive to accomplish tasks throughout the day, less of a tendency to get distracted during work, and overall higher productivity. It was VERY noticeable. The clarity did seem to fade near the end of the 3 months though. It made me wonder if you would be able to experience that mental clarity if you cycled in and out of keto at some ratio. I don’t know what that ratio would be and how long or drastically you would cycle out of keto to come back and get the benefit or if that is even possible. It’s possible that others don’t see a drop in that effect over time. I don’t really have a strong conclusion on this part, but I did experience something I would call significant. We’ve put together a full keto guide to show our Clean Plate Club members how to use 90/10 principles along with the keto diet. It’s a members only resource that gives modified 90/10 tiers for use with keto, more details on macronutrients, specifics on how to track your macronutrients, and more. Of course, being a member also gives you access to our member support community on Facebook. There you can get coaching from our team and learn from other members. We offer a 3 Week FREE (no credit card) Trial of our Clean Plate Club membership. Come join us and give it all a try! We have many recipes on our site that fit with the keto diet. Check them out at the button below. I will be doing some research and possibly give this a try.